Don’t Feel Alone. Don’t Fight Alone. We Are On Your Side. Fight Back - Know Your Rights! If you have received threats of wage garnishment, lawsuits, and losing your home, it's time to take effective action to stop the abuse! The FDCPA (Fair Debt Collection Practices Act) has given you the weapons with which to fight back and make the debt collector pay YOU money for their abusive, harassing behavior. Even if you legitimately owe the money, a debt collector has to treat you with respect. That is the law! Furthermore, if a credit reporting agency makes a credit report error, they must correct it. Under the FCRA (Fair Credit Reporting Act) credit reporting agencies, by law, have to get it right. You can sue abusive debt collectors under the FDCPA and you can sue credit reporting agencies under the FCRA. Stop Abusive Debt Collectors from Continuing to Harass You! As Peter Finch said in the movie, Network, "I am mad as hell and I can't take it anymore!" Good, you should be mad and you should start fighting. With the Law Office of Michael P. Forbes, a Philadelphia debt collection defense attorney, at your side, you can begin to take your life back! If you've ever been on the wrong end of a call from a debt collector, you don't easily forget the conversation. The debt collector says everything they can to make you feel bad about yourself, often trying to shame you into paying the debt that you would gladly pay if you could afford it. Unfortunately, the collector's efforts often turn into frustration and, instead of trying to negotiate a payment plan that fits your budget, the collector becomes abusive, directing nasty remarks at you in an offensive tone. Most people who have been victimized by this type of disrespectful treatment by debt collectors first feel embarrassed and humiliated. If you have been the victim of this type of treatment, a debt collection attorney in Philadelphia who is skilled in this type of law can help you retain your dignity and do something about stopping debt collection harassment and abuse. Defending against debt collectors is our top priority. Contact our firm immediately by calling (610) 991-3321! We're Ready to Defend YOU! How We Can Help You - Contact Our Office Today! With over 25 years of experience, I have the qualifications and knowledge necessary to protect you and your rights. I am here to help in any way I can and that all begins today. 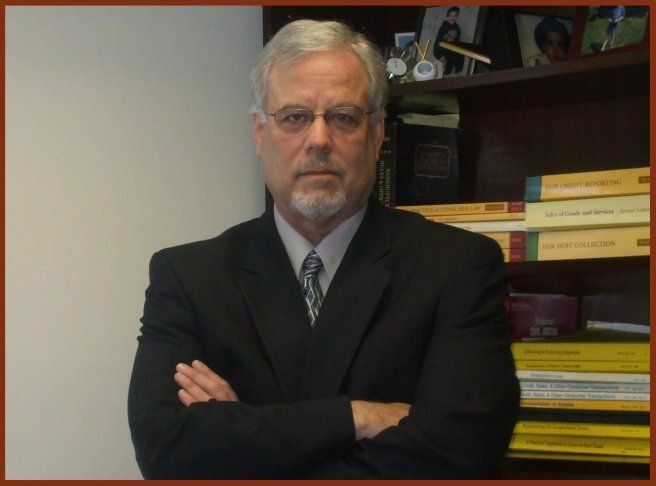 At the Law Office of Michael P. Forbes, you can have confidence in the team handling your case. My firm is proud to deliver high-quality legal representation and compassionate counsel during this difficult time. We will sue abusive debt collectors and credit reporting agencies at no cost to you unless we win. We will pay all costs for filing the suit.